It is widely known that the defrosting operation of evaporators of commercial refrigeration equipment is one of the main causes of inefficiency on these systems. Several defrosting methods are used nowadays, but the most commonly used are still time-controlled defrosting systems, usually by either electric resistive heating or reverse cycle. This happens because most demand defrost methods are still considered complex, expensive, or unreliable. Demand defrost can work by either predicting frost formation by processing measured conditions (fin surface temperature, air humidity, and air velocity), operative symptoms of frost accumulation (pressure drop and refrigerant properties), or directly measuring the frost formation using sensors (photoelectric, piezoelectric, capacitive, resistive, etc.). The data measured by the sensors can be directly used by the system but can also be processed either by simple algorithms or more complex systems that use artificial intelligence and predictive methods. 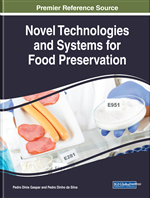 This chapter approaches frost sensing and prediction for command of demand defrost systems. The issue of frost formation in air conditioning and refrigeration systems, more specifically on the fin-and-tube evaporators, has been studied for several years and yet it still is one of the main causes of inefficiency (Popovac, Seichter, & Benovsky, 2015; Guo, Chen, Wang, & Chen, 2008). As they are used in light commercial systems, these fin-and-tube evaporators have a large area-to-volume ratio. The demand for subfreezing operating temperatures causes the formation of a frost layer on the fin surface (Melo, Hermes, & Silva, Experimental study of frost accumulation on fan-supplied tube-fin evaporators, 2011) (Hermes, Piucco, Barbosa Jr., & Melo, 2009), as shown on Figure 1. Restraint frost methods: methods for the retardation of the frost formation, by changing the characteristics of the inlet air (humidity, velocity and temperature) (Melo, Hermes, & Silva, Experimental study of frost accumulation on fan-supplied tube-fin evaporators, 2011), (Sheng, Pengpeng, Chaobin, & Guixin, 2017); changing the features of the cold surface (temperature, morphology, position and treatment) (Olcay, Avci, Bayrak, Dalkılıç, & Wongwises, 2017), (Liu & Kulacki, 2018), (Chu, Wu, & Zhu, 2016), (Wang F., Liang, Zhang, & Zhang, 2017), (Liu, Yu, & Yan, 2016) e (Wu, Hu, & Chu, Experimental study of frost formation on cold surfaces with various fin layouts, 2016); and changing the interaction between the air, condensed water or frost and the cold surface (electric field (Joppolo, Molinaroli, De Antonellis, & Merlo, 2012), magnetic field (Gou, Liu, Liu, Huang, & Zhang, 2009), ultrasound (Li, Chen, & Shi, Effect of ultrasound on frost formation on a cold flat surface in atmospheric air flow, 2010)), etc.